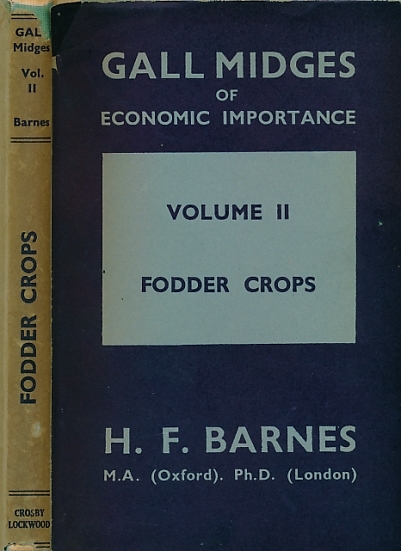 Barter Books : Barnes, H F : Gall Midges of Fodder Crops. Gall Midges of Economic Importance. Volume II. London. : Crosby Lockwood & Son Ltd.
220 x 145 mm (9 x 6 inches) - 160pp + plates. VG : in very good condition with rubbed and chipped dust jacket. Cover faded.